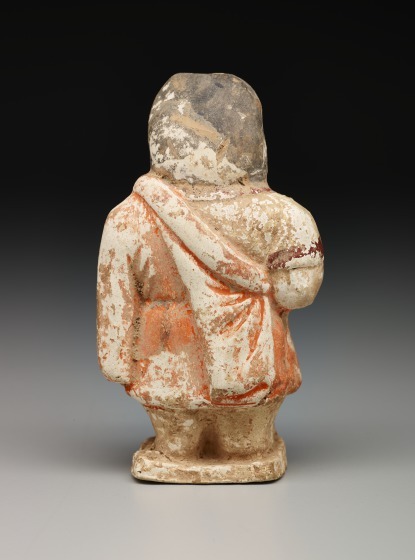 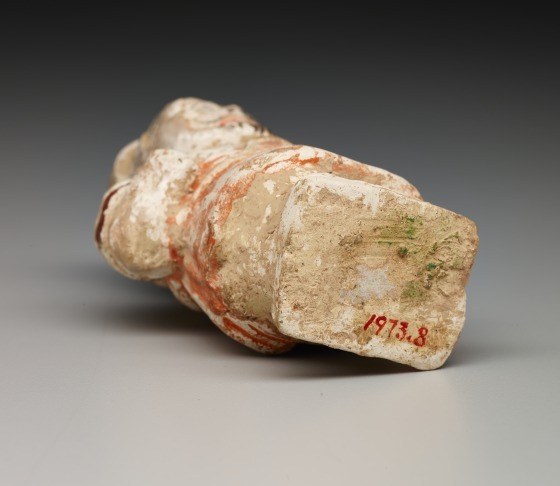 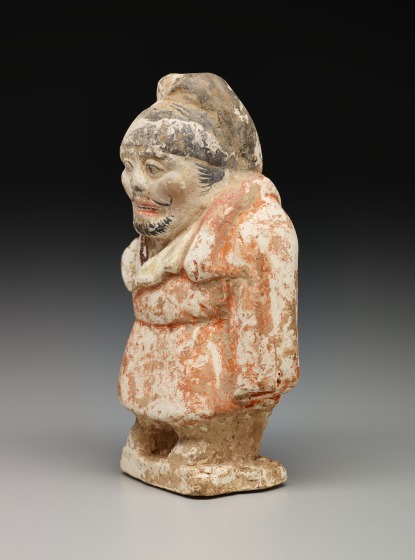 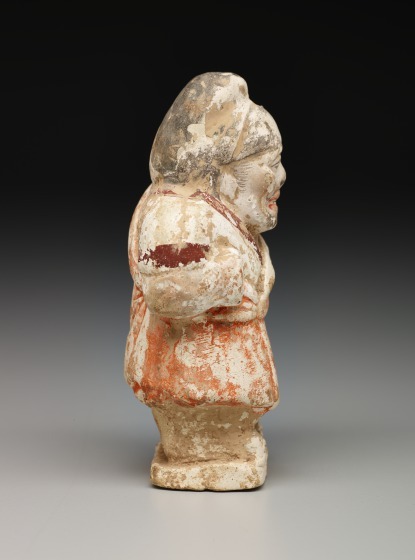 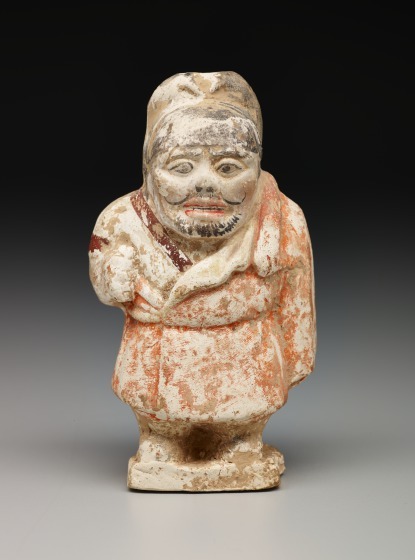 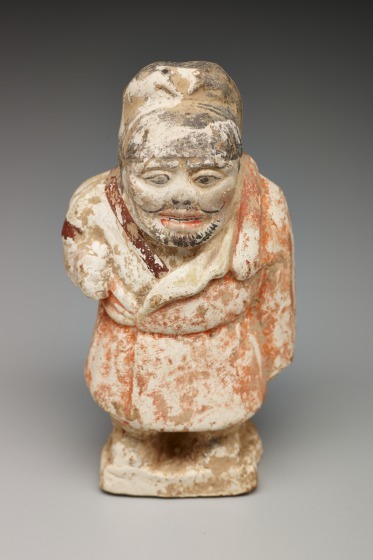 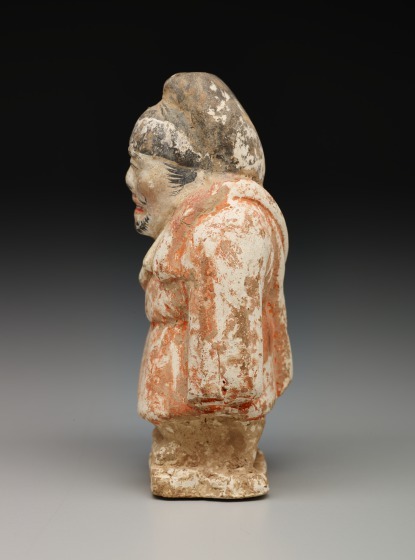 This dwarf figure shows Chinese interest in foreigners from the Silk Road. 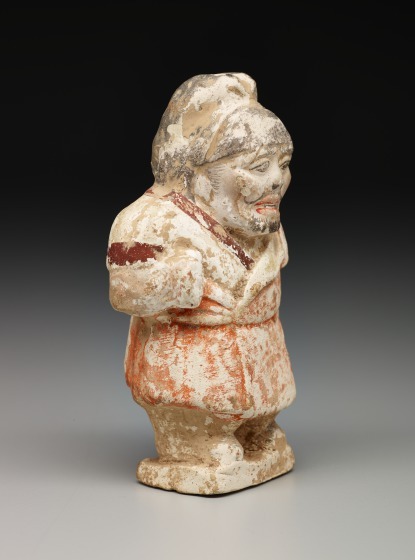 Dwarves, who were thought to come from exotic lands to the north and west, were often entertainers in China. 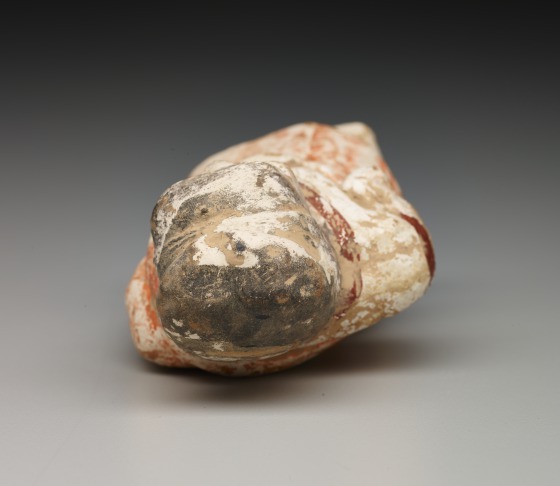 Dr. Anne Bromberg, DMA unpublished material.